Fender Chorus Pedal The Fender Chorus pedal will remind you just how cool and indispensable the lushly spatial effect can be. Add sparkle to clean open chords, to animate strummed passages and to thicken distorted power chords. 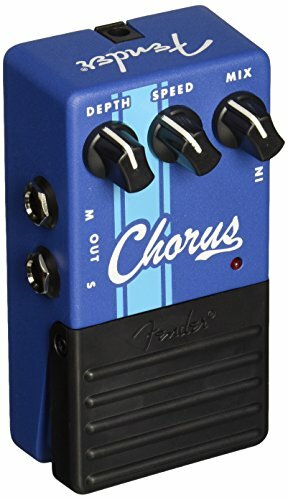 Get just the right amount of chorus desired, cleanly and quietly. Operates in mono or with stereo outputs for vibrantly huge sound while creating wide, sweeping modulation effects or shimmering 12-string sounds.